Our programs are developed, prepared and presented in a professional and informative manner by a carefully selected staff of Fire Instructors who are chosen based on their experience and knowledge. Our staff is comprised of experienced fire officers and firefighters from both career and volunteer fire departments. Many are IAFF members and place a strict focus on student safety and effective teaching. JAMES BASTAN: Jim served with the Jersey City Fire Department, retiring after 31 years. He is presently an active member of NJ Task Force 1 – Urban Search and Rescue Team, where he serves as a Task Force Leader and is responsible for the Search Component. For more than three decades, Jim has developed extensive knowledge and experience in leadership, firefighting and rescue operations. 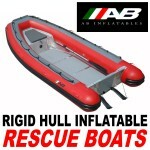 He also has vast experience as a technician and as an instructor in water rescue and rescue boat operations. He is a certified instructor with Pennsylvania Fish & Boat Commission. Jim is also a Past President of the State Urban Search & Rescue Alliance (SUSAR) and a Disaster Search Canine Evaluator. 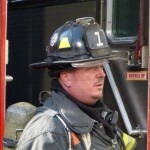 DUANE BORWEGEN: Duane is a Battalion Chief with the Edison Fire Department. He is also a member of NJ Task Force 1 USAR Team. Duane is an instructor at the Somerset County Fire Academy. PATRICK BUCKLEY: Pat joined the fire service in 1996 as a firefighter in Hillsborough, Somerset County, NJ. Pat served in every leadership position including Fire Chief, and he present serves as a Fire Commissioner. Pat is a NJ State Level 2 Fire Instructor and a Fire Instructor at the Somerset County Emergency Services Training Academy, where he teaches the Truck Company, Bailout, CEVO, Pump Operations, Air Management as well as many of the Firefighter 1 & 2 courses. Pat has developed several courses such as Electrical Safety for Firefighters, Tactical Truck Operations, Truck Work, Traffic Incident Management, Utility Incident Management, Air Management and Solar System Safety. Pat is an Adjunct Professor in the Emergency Services – Fire Science Program at Raritan Valley Community College. Pat has worked in the utility/power industry for the past 36 years and holds a BS in Electrical Engineering and an MS in Energy Management. 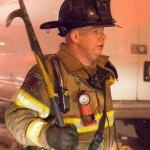 TONY CARROLL: Tony is a Battalion Chief with the Washington DC Fire Department. He was appointed to DCFD in March 1992. He has served in some of the District of Columbia’s busiest Engine and Truck Company’s, as well as serving in Rescue Company 2. Tony also served as a fire instructor at the DC Fire Academy where he has taught rookie firefighters, Rope Rescue, Firefighter Survival, “Back to Basics”, Personal Escape Systems and other classes. Tony is a certified Level-3 instructor, an authorized Petzl EXO Escape Systems instructor and a FDTN Rapid Intervention Team instructor (T-t-T). DONALD COLARUSSO: Don has served in the fire service for over 30 years. He has been a chief officer for over 12 years, and presently serves as chief of Neptune Township's Special Operations Unit. Previously he served as fire chief in Neptune Township (NJ), where he commanded fire department operations during Hurricane Irene (2011) and Super Storm Sandy (2012). He also served as chief in Wall Township (NJ) from 1997-2000. He is a NJ State Level II Fire Instructor and a staff instructor with the Ocean County NJ Fire Academy, where he was awarded Northern Class "Instructor of the Year" in 2012. 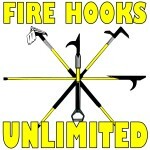 Don is a manufacturer authorized instructor for all of the nations leading NFPA-certified firefighter escape systems. 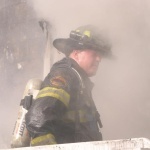 TOM COSGROVE: Tom is a firefighter with the New York City Fire Department, assigned to Rescue Company 1 in Manhattan. For the past several years he has instructed at the Fire Department Instructors Conference (FDIC) in Indianapolis. PATRICK J. 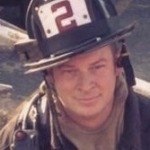 COVERT: Pat joined the fire service in 2001 with the Sea Bright NJ Fire Department. He serves as Lieutenant and training officer. CHAD COX: Chad has been a member of the Wichita KS Fire Department for 13 years, where he currently serves as Lieutenant on Engine Company 2. 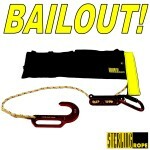 He is a Sterling F4 Firefighter Escape Systems instructor. He also teaches Forcible Entry, Engine Company Operations and Safety & Survival. Chad assists the departments recruit academies with instruction on a variety of topics, including the Gemtor Harness and personal bailout systems. 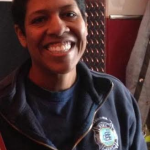 MEGAN ELLZY: Firefighter for the City of Alexandria in Virginia, currently serving at firehouse 206 Engine and Rescue Company. Megan is on the City's Technical Rescue team. She is a PETZL EXO instructor, helped with recruit school and department training and is a Fire Ground Survival instructor. JAMES "GORDO" GORDON: Gordo is a Fire Captain with the Washington DC Fire Department, assigned to Truck Company 11. He also teaches basic fire recruits at the DC Fire Academy. Carl is a career Captain with the City of Long Branch Fire department and his service spans over 22 years. Carl started and continues with the Monmouth Beach Fire Department where he served as Chief in 2002, 2007, 2008 and currently as Asst. Chief. He also serves as Deputy coordinator for Long Branch Emergency Management leading its Haz-Mat team. He is NJ State level I instructor, Proboard/IFSAC Level II instructor, NJ State EMT and technician level training in Haz-mat, Swift Water, Ice Rescue, Trench and Confined Space rescue. Carl is also an authorized Sterling F4 and Petzl EXO trainer. DANIEL HARKER: Dan joined the fire service in 2000. He advanced through the ranks and served as Fire Chief of the Neptune Township (NJ) Fire Department in 2015-2016. Dan has been awarded the Medal of Valor three times by the Monmouth County Fire Marshal's Office and once by the 200 Club of Monmouth County. 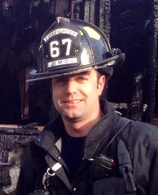 Dan presently serves as a lieutenant and the training officer for Neptune FD - Station 4. He is a member with the township's Special Operations Technical Rescue Team and attended over 150 hours of USAR training with NJ-TF1. 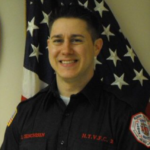 Dan is a NJ DFS Certified Fire Instructor and is a certified Emergency Medical Technician. 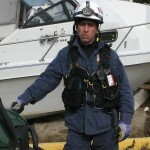 JOEL KANASKY: Joel Kanasky is a Logistics Section Chief for FEMA Urban Search & Rescue and is also a retired member of New York City’s Rescue Company 1 in Manhattan. Before joining the FDNY, Joel was a firefighter with the Alexandria VA Fire Department and also served as a Sergeant in the US Marine Corps. Joel instructions nationally on Technical Rescue operations and a large variety of other fire and rescue topics. CHAD LALLIER: Chad is in his 18th year with the Alexandria, Va Fire Department. Currently serving as a Lieutenant at Station 6, Engine and Rescue Company, which is the City's Technical Rescue Company. Chad has over 25 years as a Volunteer serving at every rank to include Fire Chief, in Prince George's County Maryland. Chad is an instructor in many disciplines, including assisting with Alexandria's Recruit Academy, Fire Ground Survival training, SCBA Emergencies, Air Consumption, Petzl Exo Escape Systems, FFI & II, Pump Operator, Swiftwater Rescue, and others. VINNY LAZZARA: Vinny joined the fire service in 1990. He serves as a chief officer in Howell Township (NJ), and is also a past-chief in Freehold (NJ). Since 2011, Vinny has been a member of NJ Task Force 1 USAR and is assigned as a Search Technician and Swift Water Rescue component. He is also an instructor for the USAR team. Vinny is a NJ State Certified Instructor in addition to holding numerous USAR technician level certifications. PATRICK MOSES: Pat started in the fire service in 1997 as a volunteer with the Ocean Grove NJ Fire Department. For two years he was a career firefighter for the National Park Service - Grand Canyon National Park in Arizona. He then served for 12 years as a career firefighter in Delaware and South Carolina, assigned to Rescue and Ladder companies. As a firefighter in Mount Pleasant (SC), Pat was a member of the technical rescue team, assigned as a "mentor" on his shift and also served as an instructor for Firefighter Survival, Rapid Intervention and other firefighting operations. 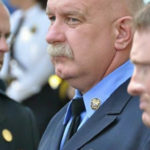 Pat presently is the Assistant Chief of Beach Operations with the Ocean Grove NJ Beach Patrol and works with fire departments developing there ocean rescue services. PATRICK MURPHY: "Murph" was appointed to the Jersey City Fire Department in 1999. He was assigned to Squad Company 4, and in 2004 assigned to Rescue 1. He has received extensive technical rescue training through USAI in structural collapse, trench, confined space and high angle rope rescue. He is also a Hazardous Materials Technician. In 2016, Pat was promoted to the rank of Captain and is presently assigned to Tower Ladder 4 in the Greenville section of the city. 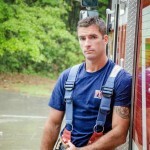 CHRIS OSTRARTICKI: Chris is a Firefighter/EMT with the Joint Base McGuire-Dix-Lakehurst Fire Department in New Jersey. His emergency services career spans over 15 years, which includes being an active volunteer with the Brick Township Fire Department. Chris is a NJ Certified Instructor, a DOD/IFSAC Instructor and a Vehicle Rescue instructor. He is a Technical Rescue Technician in Rope Rescue, Confined Space Rescue, Trench Rescue, Ice Rescue, Water Rescue and is a Hazmat Tech and an authorized Sterling F4 Escape Systems instructor. KEVIN RICE: Kevin has served with the City of Trenton Fire Department since 2001 and holds the rank of Captain assigned to Rescue Co. 1. He is a certified EMT and a NJ Level I Fire Instructor. Kevin also maintains a technician-level certification for Hazardous Materials, Confined Space, Rope Rescue, Trench Rescue, Vehicle Extrication and a PADI certified diver. JOHN SAHATJIAN: John joined the fire service in 2001. He rose through the ranks and presently serves as the Chief of Department for South Wall Fire Rescue Company – Fire District #3 in Wall Township, NJ. John formed the Special Operations Team specializing in Structural Collapse, and presently serves as the Team Commander. He attended Fairleigh Dickinson University in Teaneck, NJ. He is also an Instructor at Middletown Fire Academy. John is a certified National Level 2 Instructor, certified Sterling F4 Escape Systems instructor, EMT and a CPR instructor. Also certified to teach NECI Basic Telecommunicator and Emergency Medical Dispatcher. Jon has been in the fire service for over 16 years, having spent the last 11 years with Hillsborough Township Volunteer Fire Company #2. He assists his department with health and safety as their Safety & Compliance Officer, including training and drill development. Jon has also been a member of the Somerset County Hazardous Materials Emergency Response Team since 2012, where he has become a Pro Board® certified Hazardous Material Technician. In his professional career, Jon has worked in the Environmental, Health & Safety (EH&S) industry for over 18 years. He is a certified OSHA General Industry Outreach Trainer and has experience in presenting various subjects, including; Powered Industrial Vehicles (PIVs), Bloodborne Pathogens, Hazard Communication (Right-To-Know) & GHS, Hearing Conservation & Protection, Hot Work Safety, Control of Hazardous Energy (Lockout / Tagout), Permit Required Confined Space Entry, Fall Prevention & Protection, and Respiratory Protection with Qualitative & Quantitative Fit Testing. BILLY SIEGRIST: Bill is a member of the Wayne Fire Department since 1981 and a members of the Technical Rope Rescue / Confined Space Rescue / HazMat Response element of the Wayne Fire Department Special Response team since 1984. Bill is a Fire Academy Instructor Level II/Drill Ground instructor since 1992, working at the Passaic County Fire Academy since 1992. There he instructs Firefighter I and II curriculum, as well as being a lead instructor for Technical Rope Rescue/Confined Space Training programs for the Fire/EMS Divisions. He is also a New Jersey State Police Hazardous Material Response Unit (NJSP-HMRU) Certified Confined Space trainer since 1993. He has held every fire line officer position including the rank of Chief. Bill is a Construction Project Manager/Engineer by trade, having received his BSCE from NJIT in 1981. Working with the Army Corps of Engineers in Military Construction for 8 years and active in the Heavy Construction industry for the past 36 years. CHRIS SORRENTINO:ChrIs has been a part of the fire service since 2002 and has been working in the Fire Protection field since 2005. He is a Career Firefighter for the City of Plainfield and is currently assigned to Truck 3. Chris also works as a Fire Inspector for Township of Clinton and as a Fire Instructor for the Hunterdon County Emergency Services Training Center. 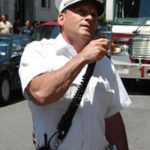 He is a NJ ProBoard Level II Fire Instructor. 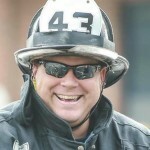 DOUG VORP: Doug is a career firefighter with the Plainsboro Fire Department. He served as fire chief from 2009-2011. WELLS WILSON:Wells Wilson is a Captain with the City of Alexandria (VA) Fire Department assigned to Engine & Rescue Company 206. He is the program manager for the department’s Technical Rescue Team and is a regular instructor at Alexandria’s Recruit Academy. A Petzl EXO instructor he also teaches Engine Company Ops, Pump Ops, Rapid Intervention and Technical Rescue skills. 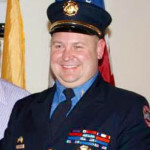 Wells joined the fire service in 1999 as a volunteer with the East Franklin VFD in Somerset, NJ. He is a life member and served as a line officer up through the rank of Assistant Chief prior to being hired in Alexandria. All Hands Fire Training sometimes works cooperatively with PL Vulcan Fire Training Concepts, SAFE-IR, Safety & Survival Training and other reputable trainers in order to deliver the best training available. Our ability to offer training in this fashion has clearly set us above many other trainers, because the customer / student / fire department truly receives the absolute best and most diverse training available. With regards to sub-contracting, like most training companies, our instructors are either issued an IRS 1099 or we use a cooperative partner training company. All training companies / instructors are fully insured and utilize certified and/or authorized instructors. This process allows us to provide the highest caliber of training available in the industry. The instructors are off-duty firefighter rescue professionals. Students receive the benefit of their experience in presenting their knowledge, experiences and technical guidance. Together, we have trained literally thousands of volunteer and career departments, including a large number of IAFF members. For all customers, this has been an acceptable practice that has resulted in recommendations and exceptional ratings on students evaluations. For more information or details, please feel free to contact us.